The 2019 Spirit of Northern Ireland Awards with Specsavers have been launched and judges are looking for who you think best captures the Spirit of Northern Ireland in 2019. This annual awards ceremony, which will again be televised by UTV, seeks to honour all those who make a difference across Northern Ireland. Organisers are seeking your nominations for who you think deserves a Spirit of Northern Ireland Award, by selflessly serving others and being an inspiration to us all. 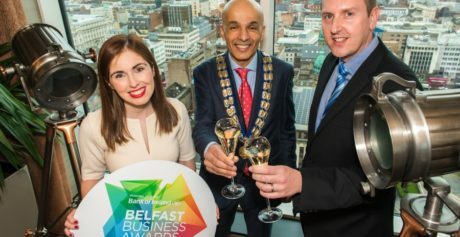 The unique Northern Ireland-wide search will give recognition to those whose good deeds have previously gone mostly unnoticed – ordinary people who are doing extraordinary things to help others and people whose uplifting stories of selfless acts will touch the hearts of all who read them. Judges are searching to honour winners across ten categories in total which are now open for nomination. This year’s categories are: Unsung Hero, Overcoming Adversity, Spirit of Youth, 999 Hero, Charity Champion, Spirit of Health, Spirit of Education, Caring Spirit Award, Spirit of Sport and a Special Recognition Award. Whether for demonstrating a spirit of compassion, neighbourliness, charity, enterprise, courage or devotion, all nominations are welcome. 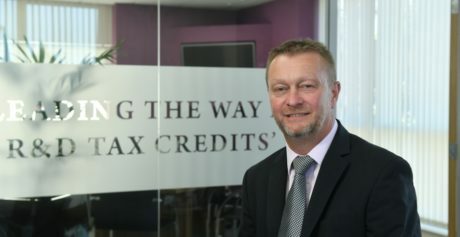 All those who submit nominations will automatically be entered into a prize draw to win a £129 eyecare voucher and a VIP experience at the awards, including an overnight stay at the event Hotel, courtesy of Specsavers. The grand final for the Spirit of Northern Ireland Awards with Specsavers will take place on Wednesday, June 5th at the fabulous Titanic Centre in Belfast. 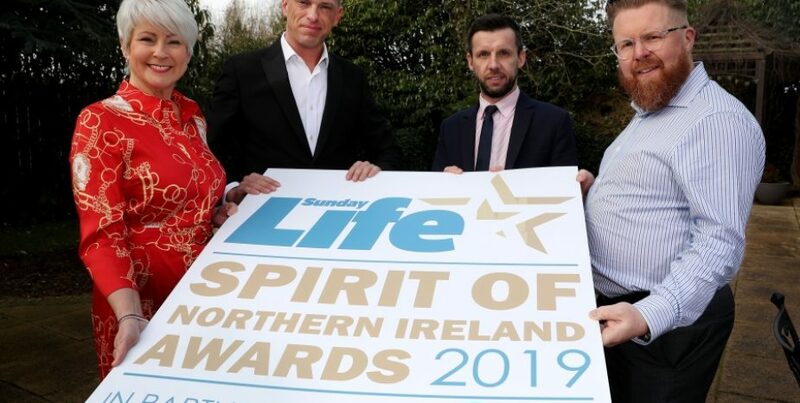 Hosting the Sunday Life Spirit of Northern Ireland Awards with Specsavers this year again will be UTV’s Marc Mallett and Pamela Ballantine, and just like previous years, the audience will be filled with many local celebrities supporting the event and eager to hear the finalists’ incredible stories. Soap and drama fans had their pick of household names at last year’s event from the likes of Emmerdale, Coronation Street, Holby City, Game of Thrones and The Fall. To make a nomination, visit www.sundaylife.co.uk/spirit and explain in 50-100 words why you think this person is worthy of a Spirit of Northern Ireland Award. The closing date for nominations is Thursday, 25th April 2019.